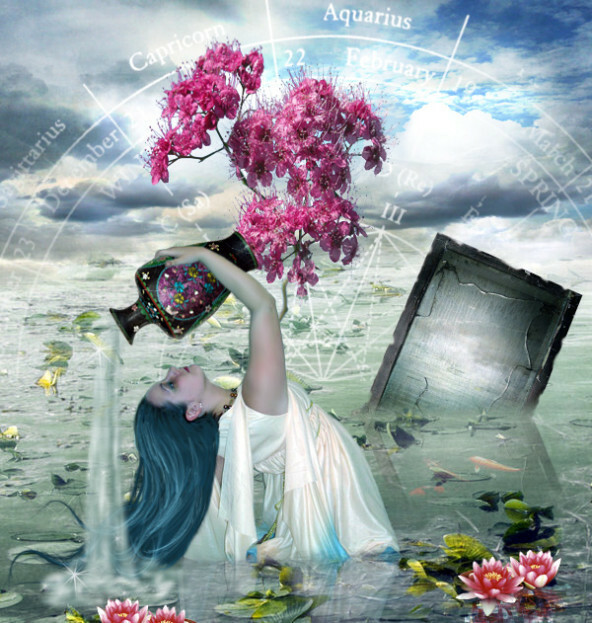 The first new moon of the year in the sign of the water bearer hearlds vision and outta of the box resets. Aquarian's are visionaries and innovatives who can see beyond the limitations of the mind, to create all sorts of funky stuff. The issue sometimes is how to ground those visions and create them into reality. This first new moon allows us to take a step back to review, as well as a step forward, to reset the road we are choosing to travel in this 1 energy year. There's a heady combination of planets coming into on this new moon asking us to look deep into some of the wounding around our intimate relationships and intimacy as a whole, at the same time asking us to leave the baggage of old behind and step to the forefront of being visionaries for the change we seek within and without. Using the moon energies we will come together to release any thing that blocks progress. Then setting intention we will create a space to allow the very cells of our being to bathe in the vibration of our highest calling, path and passion. Set in the beautiful space of Heart Space Manor where the highest of vibrations will hold us tenderly for this seeding and shedding. Please bring a mat to lie down on, a cushion/pillow for some extra support.